* My book is here! That's great cause I just finished "Me and my big Mouth" by Joyce Meyer. This book was great! Life and death are under my nose. It was great to learn how the Word of God needs to be in my mouth the whole time. 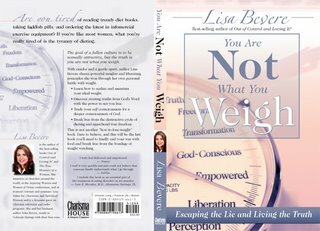 I'm looking forward to reading Lisa Bevere's book. Great news: someone from church called me and we went walking last night. It was great to get back out there. She was a fast walker too :) Blessings!